How and Where to Buy Motilium? CanadianPharmacyWorld.com offers Motilium (Domperidone) from Canada, UK and Turkey at huge discounts. A valid RX is required. Check out our latest Featured Products and more. Are there Alternative Names for the Brand and Generic Motilium (Domperidone)? The brand name Motilium comes from Turkey and is manufactured by Janssen-Cilag. 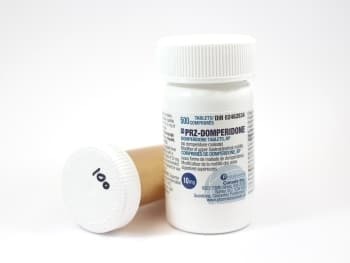 The generic Domperidone comes from UK and Canada and is manufactured by different manufacturers. What is Motilium (Domperidone) used for? Motilium (Domperidone) is used to treat gastroparesis. It is used to treat slowed movement in the gastrointestinal tract associated with diabetes and gastritis. Domperidone belongs to the group of medications called dopamine antagonists. It improves symptoms of nausea, vomiting, bloating, and feeling of fullness. This medication works by helping the stomach to empty more quickly and to reduce nausea. The usual dose for the treatment is one to two tablets three to four times a day before meals.